Gold Medal winner in Elle à Table Magazine 2016. Sauvignon with a touch of Sémillon and ageing in new oak. Fresh floral aromas with subtle hints of vanilla. 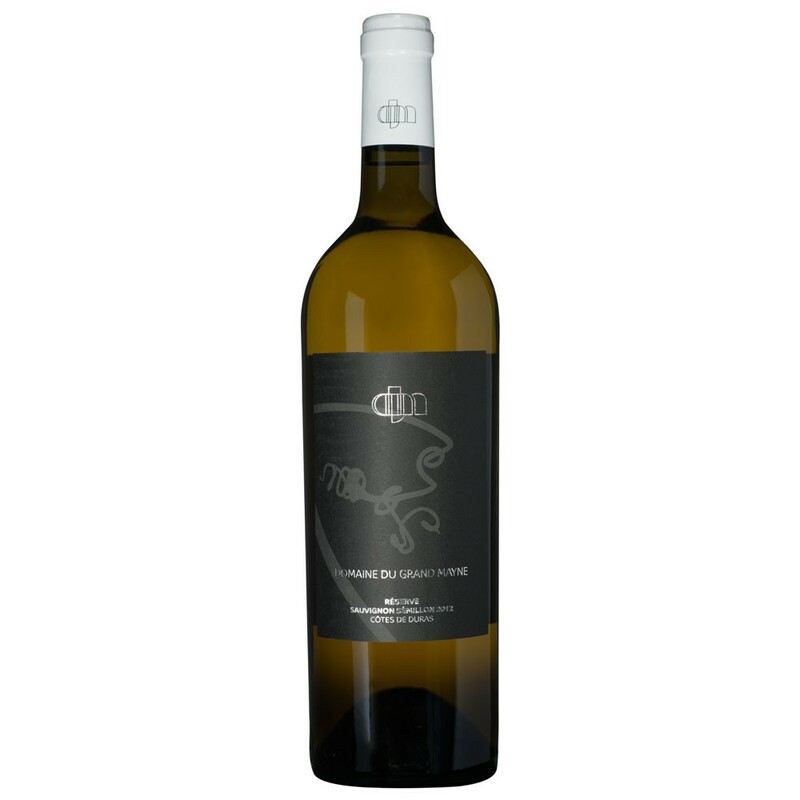 Wonderfully complex with flavours of peach and a beautifully textured fresh and elegant creamy palate. Gold Medal winner in Elle à Table Magazine 2016. Each year we select one parcel of the top quality Sauvignon Blanc grapes to be vinified to make this top cuvee of white wine. These grapes are left on the vine to ripen for a few more days after the normal white wine harvest. Then they are carefully picked by hand. The hand-picked grapes go straight to the winery, where after several hours skin maturation, they are carefully pressed. The juice is left to settle and then run into new oak casks to ferment. After fermentation, the wine is stirred from time to time over a period of several months to increase the complexity. It is bottled the following March. The vanilla oak flavours and rich fruit f this more structured, fuller flavoured, dry, white wine need time to marry together. This is a wine which benefits from at least a year in bottle. Priced per case of six bottles. For that extra special touch our wine labels can be personalised to your requirements. Click here for more information. Nocturnal harvest with selective sorting. Direct pressing. Long barrel fermentation. Attention to flavor and freshness. Matured 10 months in barrels (1/4 new) on fine lees with moderate stirring. Brilliant color. Complex nose with notes of citrus, exotic fruits, combined with floral aromas and finesse and subtle woodiness. Full mouth supported by a remarkable balance between full bodiednessand freshness. Lingering finish. Very good drinkability. From three to 10 years or more. Prawns with saffron, fish in sauce, sushi, risotto, foie gras, white meat (veal, roast chicken ...), goat or ewe cheese. See my review on Sweet wine Thank you for this good review. Not as smooth as the 2012 Thank you very much for reviewing this vintage for us. my favourite of the lot - great with food Thanks again for such a great review. it's a lovely oaked Sauvignon with Semillon for that extra richness!